This was taken October 28, 1976 in the 107th floor Observation deck of the south tower. Etched on the glass were these outline maps of various views of the surrounding vistas. 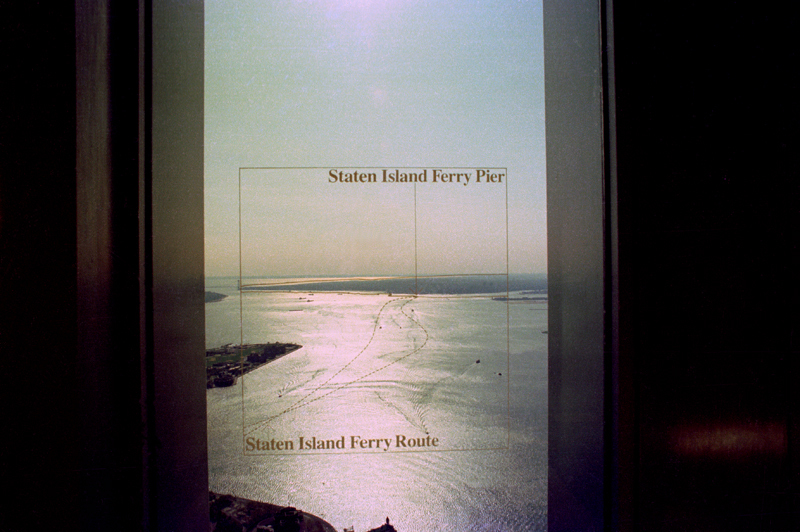 I find it poignant that Staten Island is where the towers eventually ended up. 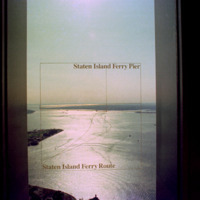 “3110.jpeg,” September 11 Digital Archive, accessed April 18, 2019, http://911digitalarchive.org/items/show/33758.